Who has Keys to YOUR home or business? Whether you’ve just moved into a new home or you have had a turnover at your business, you need to know who has the keys! 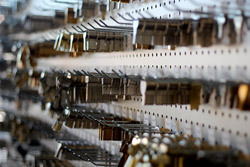 Alarmco provides a full spectrum of locksmith services. Whatever your locksmith needs – from automotive emergencies to building security, our skilled and highly trained locksmiths offer the best and most affordable solution to your lock problems. Why pay auto dealerships more than you have to for keys to your car, truck, bike or rv. Bring it to us or we can come to you for auto rekeys, duplicate keys, and key programming. Alarmco locksmiths install ANY type of lock hardware including: Lever locks, deadbolts, panic hardware, door closures and much more. If you need multiple levels of keyed entry for your business Alarmco can setup a Masterkey System to meet your needs. Alarmco carries the very best in High Security Signature controlled locks and keys available all of which can be masterkeyed. Looking for an electronic entry system to control access to your business during specified hours or just to help track employee activity? Alarmco provides a wide selection of hardwired, wireless and stand-alone systems to fit you needs and budget. 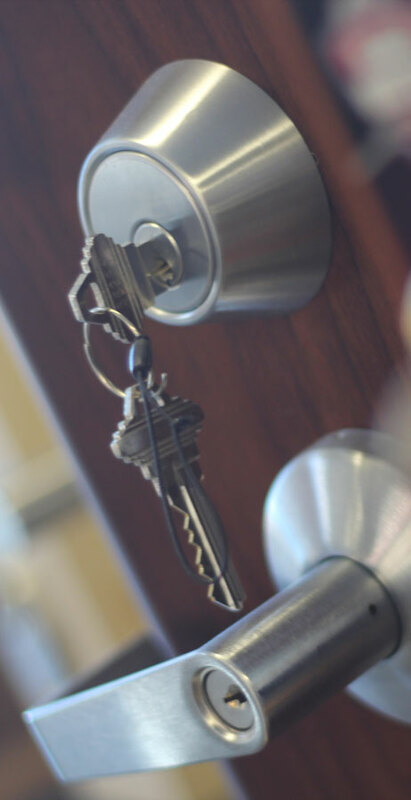 For a free on-site consultation from one of our professional and knowledgeable locksmiths call us at 702-678-5313 or simply fill out the online form above. 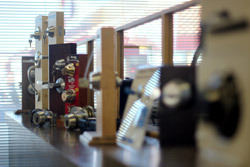 By APPOINTMENT - You can also visit us at our lockshop located on Las Vegas Boulevard across from the Stratosphere. You are never locked out with Alarmco, we’re here for you 24/7.